Arlington Computer Care's experienced computer repair technicians have been repairing computers since 1995. We provide a broad range of services to cater to our client's needs, including computer diagnostic, laptop repair, laptop screen replacement, desktop repair, mac repair, computer virus and malware removal and network repair. We also now offer tablet repair and smartphone repair including iphone screen repair and samsung screen repair. We can repair your computer in our clean, well stocked Arlington computer repair shop, or provide service on-site, in your home or office. Pickup and delivery service is also available so you can take advantage of lower in shop pricing without leaving your home or office. Because of our training and real-world experience, we can provide you with solutions to virtually any computer or networking problem. Accountability is just as important as expertise and both are as important to us as they are to you. We will never over-promise or under-deliver. We'll do exactly what we say we'll do. In other words, we honor our commitments. It's why our very first customer – back in 1995 – is still a Computer Care customer today. We encourage you to call us at 817.460.2300 so we can further discuss your computer needs. 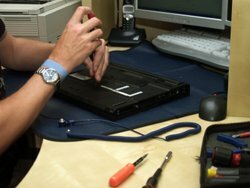 We supply unrivaled computer repair Fort Worth and around the following areas: Arlington, Mansfield, Kennedale, Grand Prairie, Euless, Bedford, Hurst, Burleson, Cleburne & North Richland Hills, Texas. Home About Us Support Services Contact Us Powered by The Marketing Group Inc.